Mohammed Sheikh Anwar is a Rohingya activist and journalist. By now, the world is well aware of the horrors experienced by Myanmar’s Rohingya minority over the past two years. Starting on Aug. 25, 2017, the Myanmar military unleashed a campaign of terror against the Rohingya in the country’s western Rakhine state, compelling virtually the entire community to flee. Since then, more than 700,000 Rohingya have sought refuge in neighboring Bangladesh. This week, according to an agreement between Bangladesh and Myanmar, the refugees are supposed to start going back. The problem: No one has ever asked us, the Rohingya, what we want. Once again our fate is being determined over our heads — without the slightest reference to our own desires. This must stop. In reality, the so-called repatriation plan is nothing but a scheme designed to whitewash the Myanmar military’s crimes and to help it escape accountability. Under pressure from the international community, the Myanmar government is trying to show its eagerness to take refugees back from Bangladesh — but without fulfilling our demands for equal rights and security. Myanmar is highly unlikely to return the refugees to their homes. Most Rohingya villages were burned down by the Myanmar military during its campaign of genocidal violence. For that reason, those who return are apparently to be resettled in internment camps. Some observers worry this is tied to Chinese-backed economic projects that have been planned on the emptied Rohingya lands in the region. 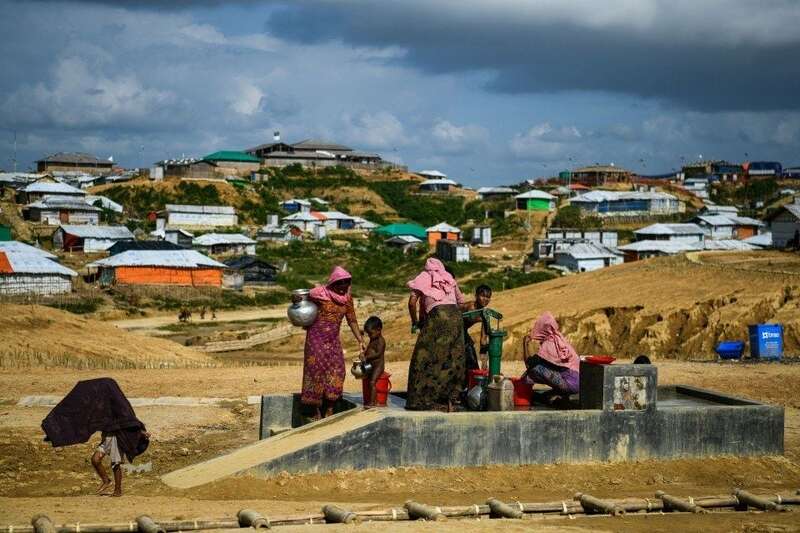 Unsurprisingly, virtually no Rohingya refugees in Bangladesh or anywhere else are willing to go back to Myanmar and live in these concentration camps. The Myanmar government has tricked some into believing that life in the camps will be temporary, until they can be allowed to return to their villages once they are rebuilt. The government spreads this false hope through collaborators (who are sometimes Rohingya themselves) as well as through some international agencies who act as brokers for the Myanmar government and aid agencies seeking to gain contracts in Rakhine state. Both the Rohingya and the international community have succumbed to such trickery many times before. The problem is compounded by the lack of independent media access to the areas concerned. If the refugees are sent back, the crisis will fade away from the international spotlight. And this will allow the familiar cycle of violence and injustice to begin again. The Rohingya should only return to Myanmar once our conditions have been fulfilled. Our demands are straightforward. The government must restore our citizenship and our status as an indigenous group — a status that will ensure us equal rights. Returnees from Bangladesh, as well as those who have been internally displaced in Rakhine state since June 2012, should be resettled only in their original villages. The resettled areas should be provided with international protection to ensure that the perpetrators, including the Myanmar military, are never again able to commit such crimes against us. There are, after all, no guarantees that Bangladesh will open its borders to save Rohingya lives next time around. In the meantime, the international community must end the culture of impunity by bringing the perpetrators — namely the Myanmar military and responsible government officials — to justice. It should follow the recommendations of the U.N. Human Rights Council’s fact-finding mission on Myanmar and criminally investigate and charge them with crimes against humanity and genocide. My family knows of what I speak. 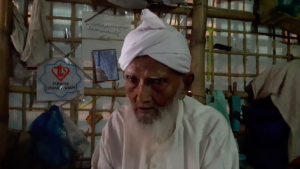 On Sept. 12, 2017, the Myanmar military and Rakhine extremists attacked my village in southern Maungdaw Township and burned the whole village down, forcing my elderly parents and others in the family to flee to Bangladesh. Sadly, there is nothing new about these atrocities. 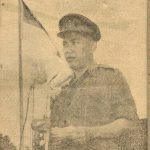 On Dec. 26, 1951, the London Times reported that approximately 250,000 Arakanese Muslims (Rohingya) fled from Burma (as Myanmar was then known) into neighboring East Bengal (now Bangladesh) to escape violence. Since the late 1970s, successive regimes have pursued a policy of slow-burning genocide against the Rohingya. Violence against us has been perpetrated under different pretexts for the past four decades — each time resulting in large-scale refugee flows into Bangladesh. On Sept. 1, 2017, Sr. Gen. Min Aung Hlaing, the Myanmar army’s commander in chief, described the clearing of the Rohingya as “unfinished business” from World War II, referring to a period during the war when ethnic Rakhine and Burmese Buddhists who sided with the advancing Japanese forces clashed with the Muslim Rohingya, who supported the retreating British. The general’s statement shows the deep roots of the Myanmar government’s policies of extermination of the Rohingya. It is crucial that the Rohingya people receive international protection to prevent a repetition of the cycle of violence. As the history of the past 40 years has taught us, official promises in Myanmar provide no guarantees of security or survival, let alone equal rights.